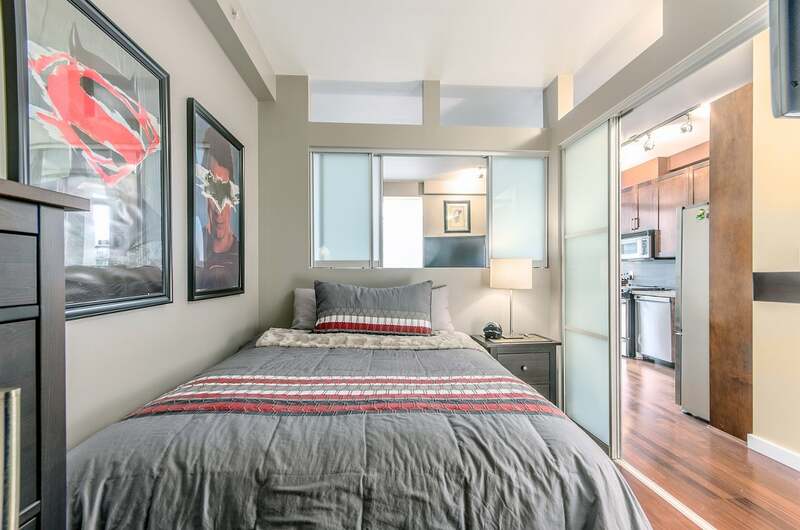 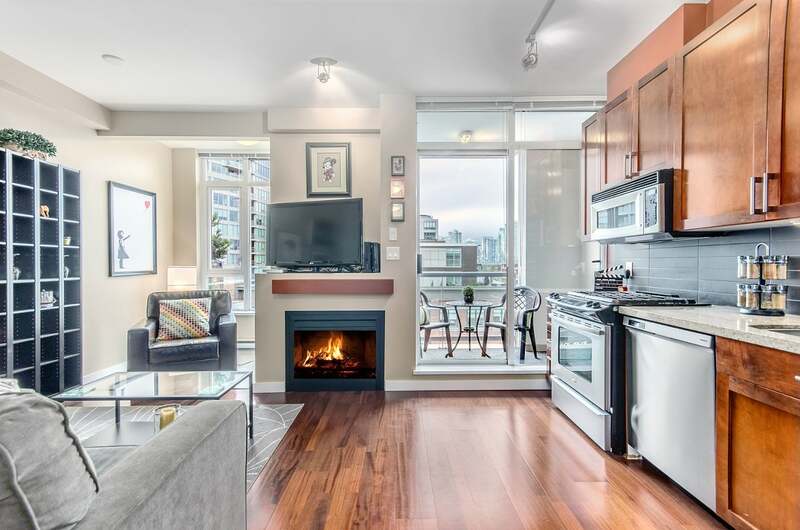 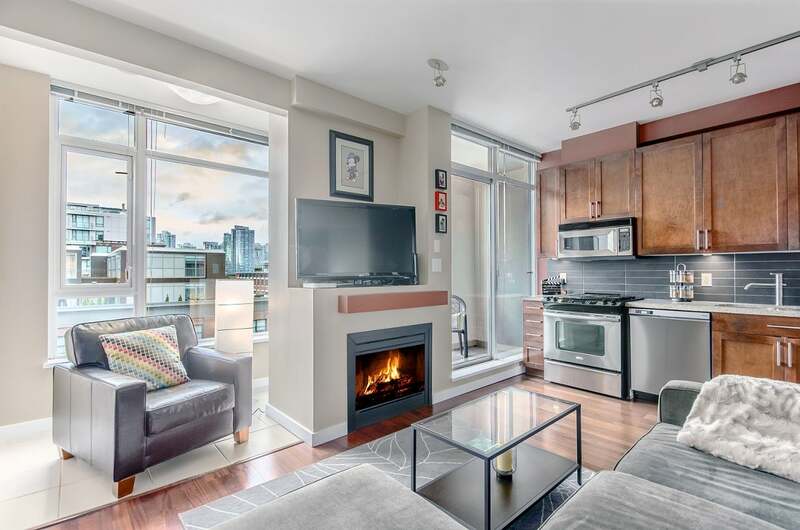 Gorgeous 1 bedroom + den in the MONTREUX by Bastion! 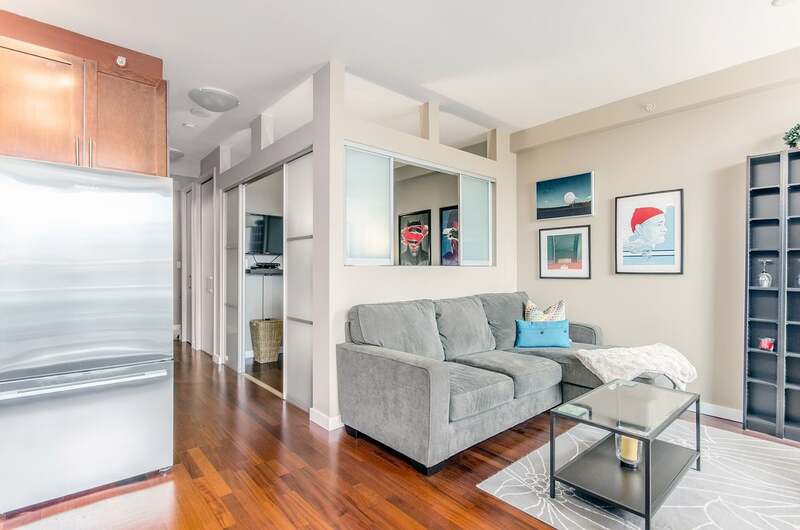 Zoned as live/work, this 643SF condo has a great floor plan and boasts a den with a large closet - easily be 2nd bedroom. 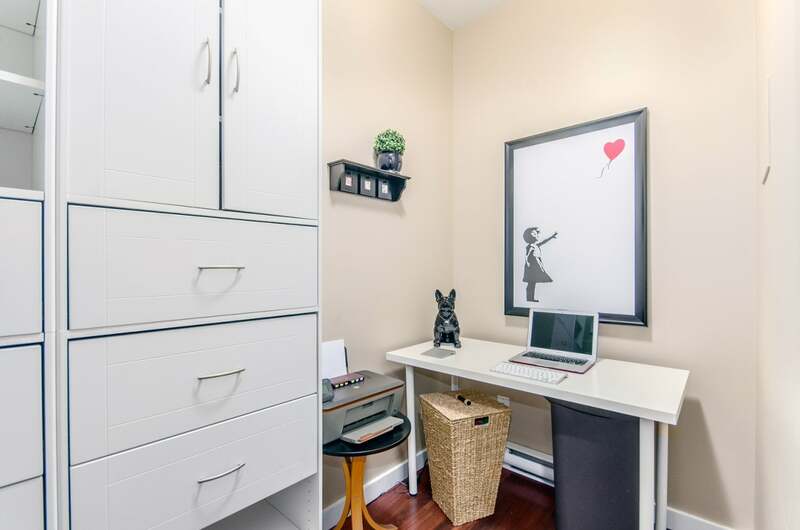 PLUS bonus flex space for extra storage or office. 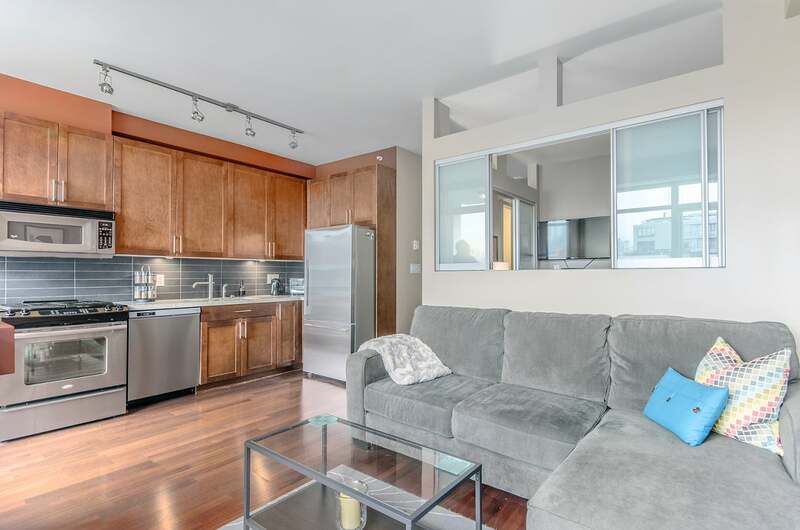 Enjoy 9' ceilings & floor to ceiling windows flooding the unit with tons of natural light. 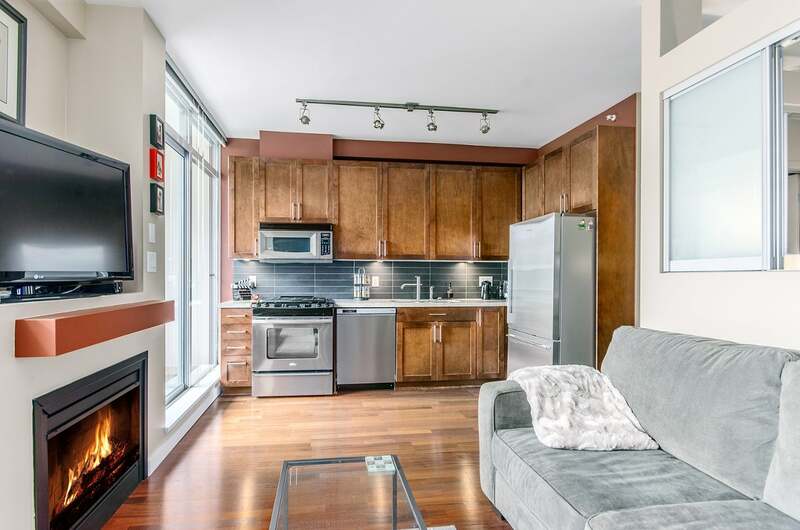 Gourmet kitchen with new S/S fridge & D/W (2015), gas range, granite counters. 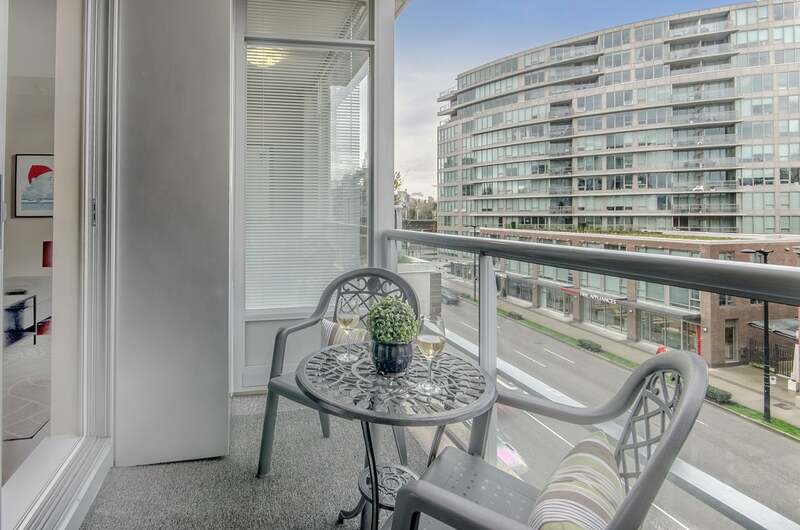 Good sized balcony, insuite laundry and lots of storage! 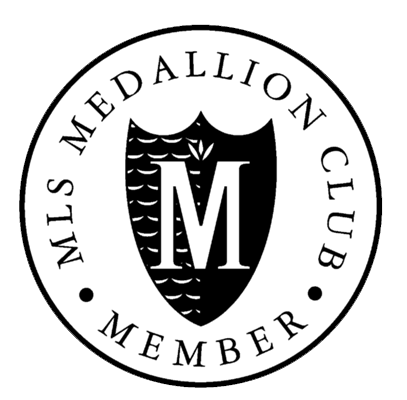 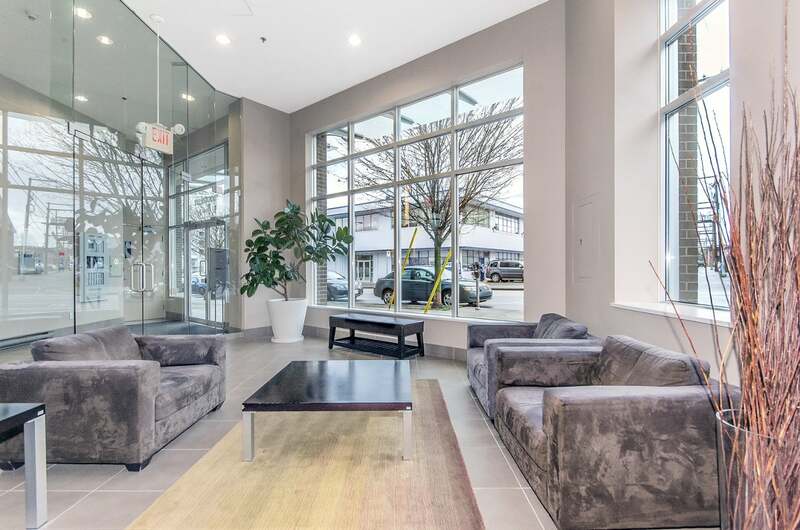 The best location - Canada Line, Olympic Village, Seawall, downtown - all just a short stroll plus a Starbucks in the building! 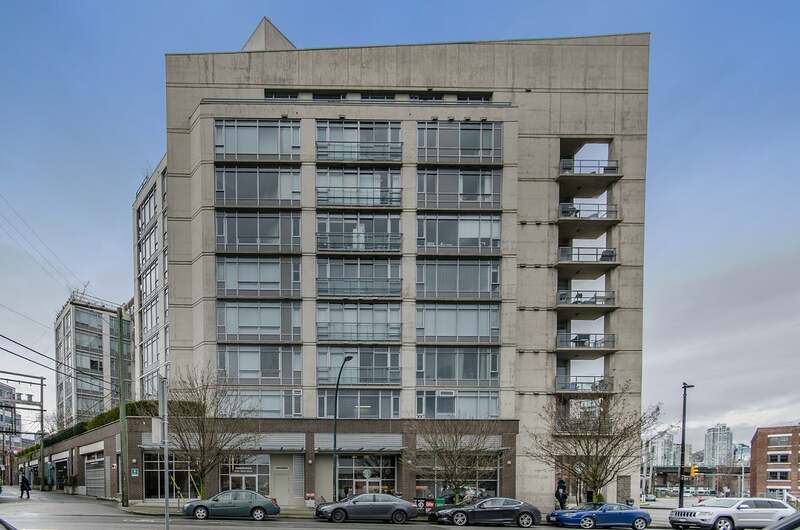 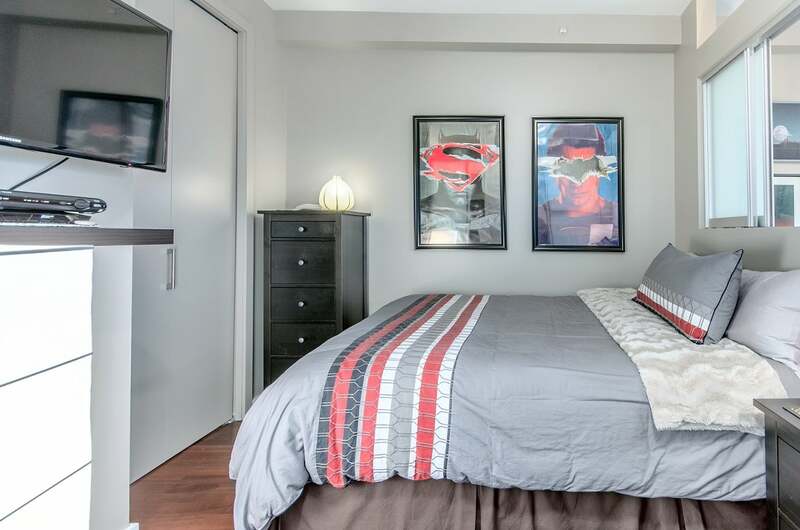 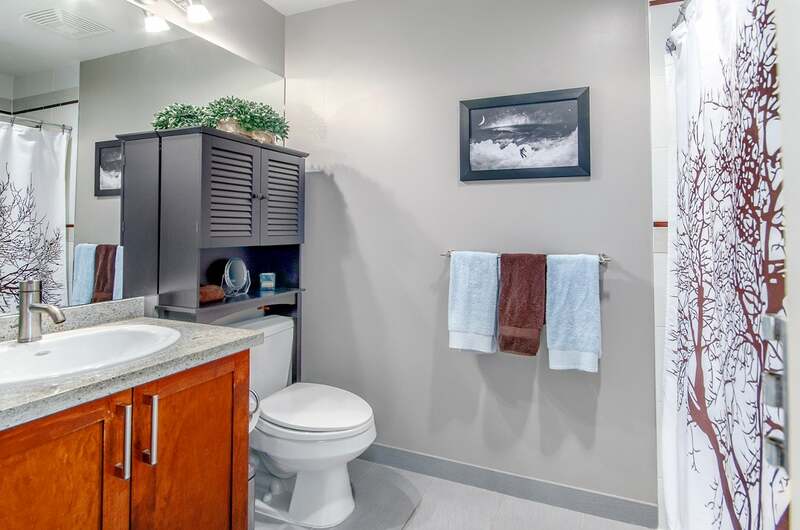 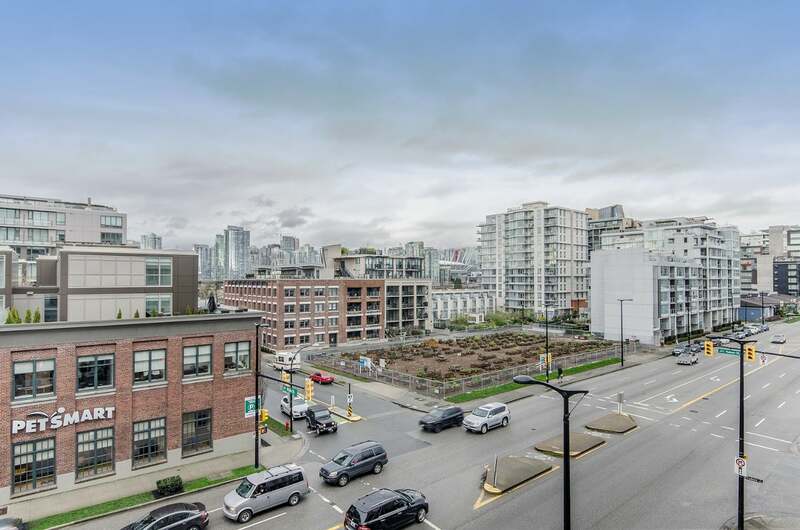 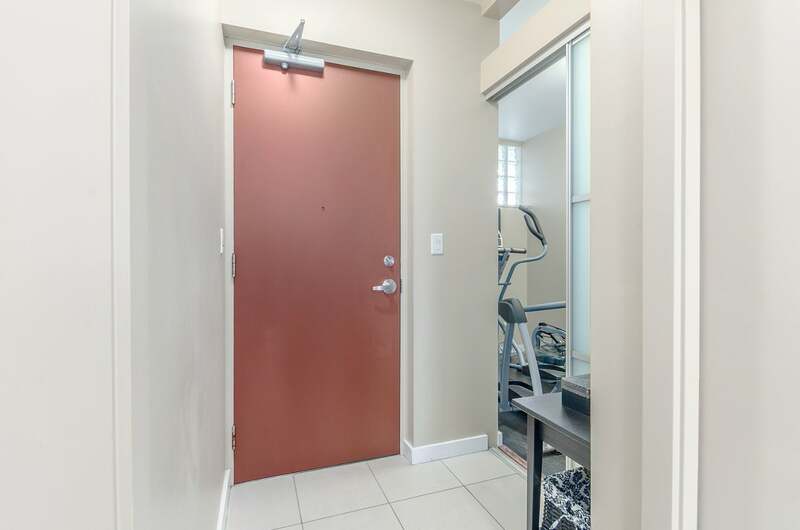 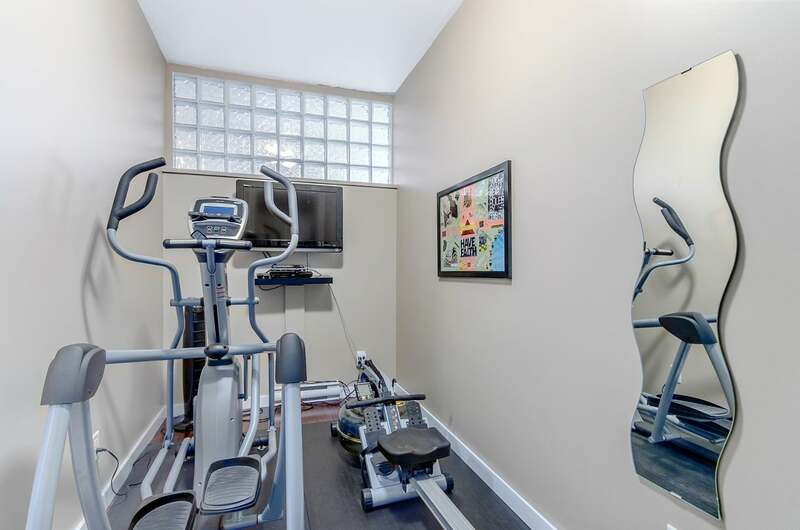 Secured underground parking + storage, amenities include gym, bike room, workshop. 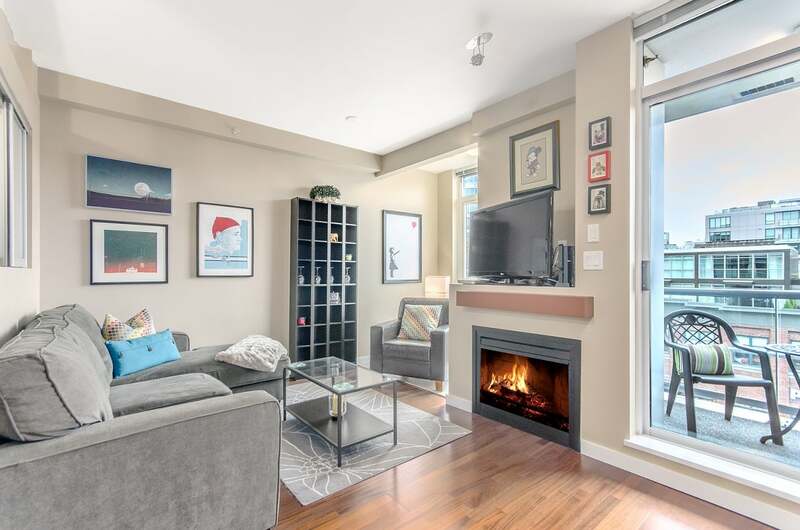 First showings at OPEN HOUSE SAT/SUN MARCH 19/20 2-4PM.